One August night, two young law students knocked three times on the huge door to Blackbeard's castle, spoke the secret password, and gained admission to a ceremony steeped in local legend. Judge Charles Harry Whedbee was one of those students, and he waited for over fifty years to tell the story of the night he drank from Blackbeard's cup—the legendary silver-plated skull of Blackbeard the Pirate. For centuries, the people of eastern North Carolina have spun tales to explain local phenomena and bizarre happenings. For decades, Judge Whedbee collected and preserved that lore. In Blackbeard's Cup and Stories of the Outer Banks, he once again went to the source and returned with sixteen tales that attest to the rich oral tradition of the coastal area. Why does the stone arch over the entrance to Cedar Grove Cemetery in New Bern drip blood on passing mourners? Who carved the name CORA in the gigantic live oak tree on Hatteras Island? What causes the sound of cannons firing off the coast of Vandemere in the summer? How did the rare creature known as the sea angel come to be? Why did an Edenton doctor spend a fortune searching for buried treasure? These are only a few of the mysteries contained in this fifth collection from North Carolina's beloved raconteur. For decades, the folk tales of Charles Harry Whedbee have been available wherever you care to look on the Outer Banks. Their popularity has transcended Whedbee's loyal readership among North Carolinians and visitors from the Northeast and the Midwest. 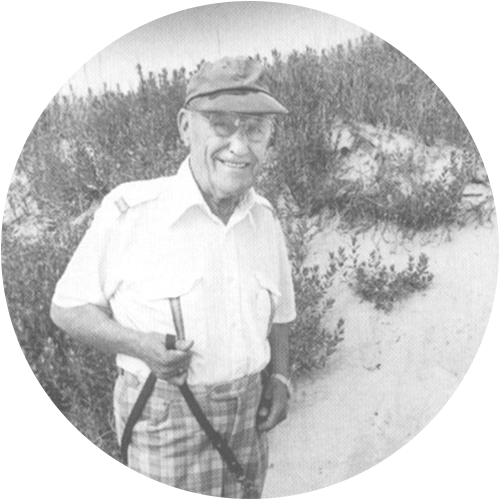 Charles Harry Whedbee was an elected judge in his native Greenville, North Carolina, for thirty-plus years, but his favorite place was the Outer Banks, Nags Head in particular. Whedbee was the author of the five folklore collections listed below. He died in 1990. In 2004, the staff of John F. Blair, Publisher, collected 13 of Judge Whedbee's finest stories for the volume titled Pirates, Ghosts, and Coastal Lore. If this is your introduction to Charles Harry Whedbee, you'll soon understand his love for the people and the history of the Outer Banks.